Nearly 500 Dwellings, Modern and Distinctive in Design, Are Completed Since This Fine Addition Was Opened. 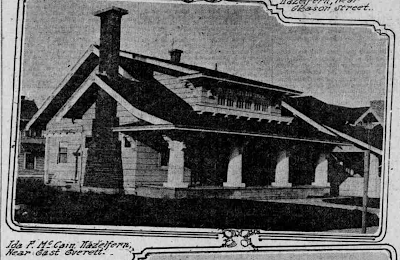 Many of the most beautiful homes in Portland have been erected in Laurelhurst in the past year and the district now contains between 400 and 500 homes of the best character. 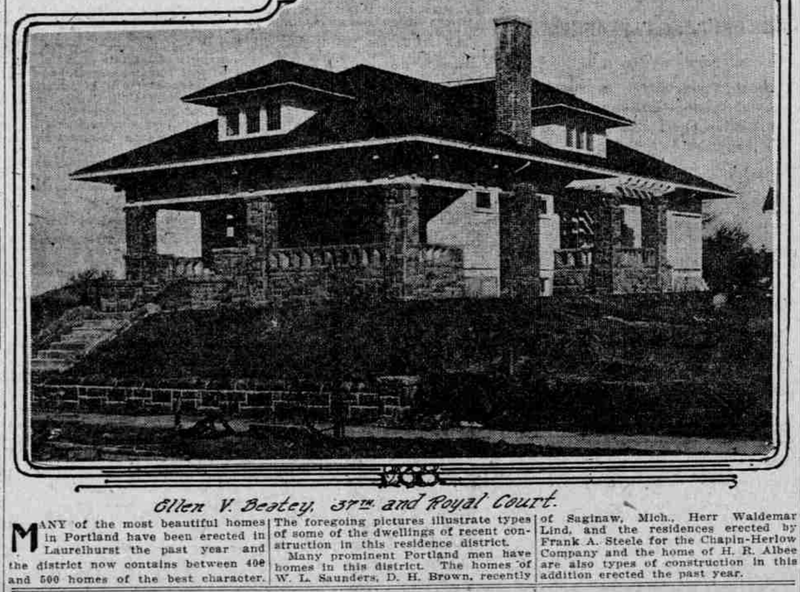 The foregoing pictures illustrate types of some of the dwelling of recent construction in this residence district. Many prominent Portland men have homes in this district. 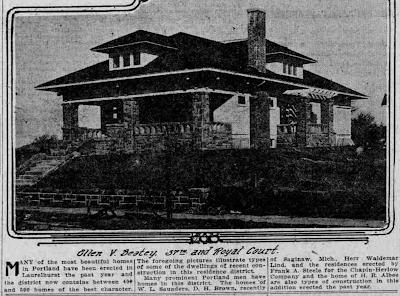 The homes of W.L. 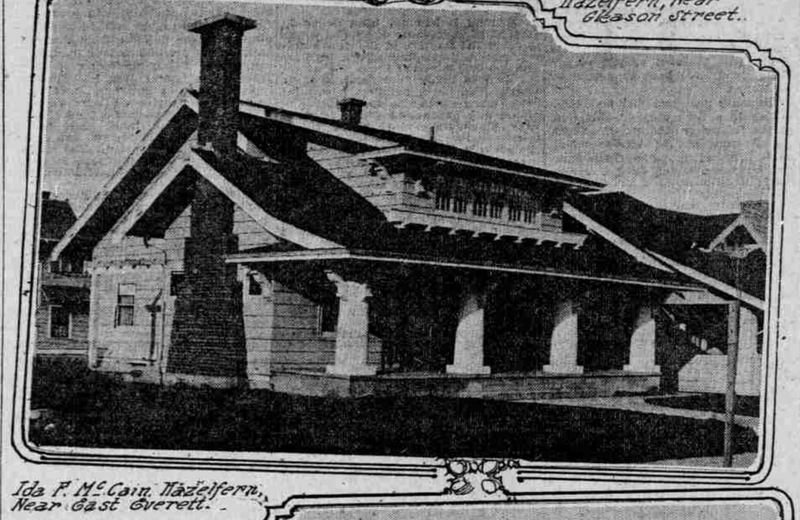 Saunders, D.H. Brown, recently of Saginam, Mich., Herr Waidemar Lind, and the residence erected by Frank A. Steele for the Chapin-Harlow Company and the home of H.R. Albee are also types of construction in this addition erected the past year. 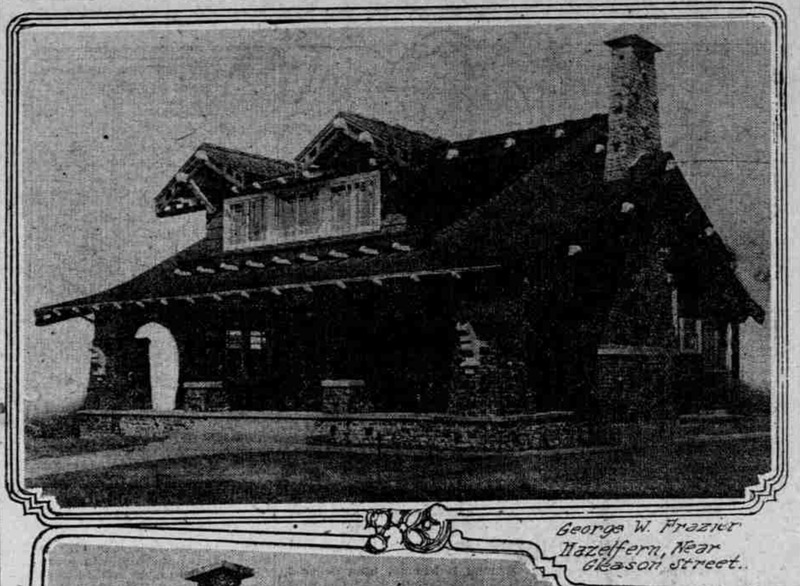 George W. Frazier, Hazelfern, near Glisan Street. The biggest real estate deal of the year was closed last week when the Provident Trust Company acquired C.K. 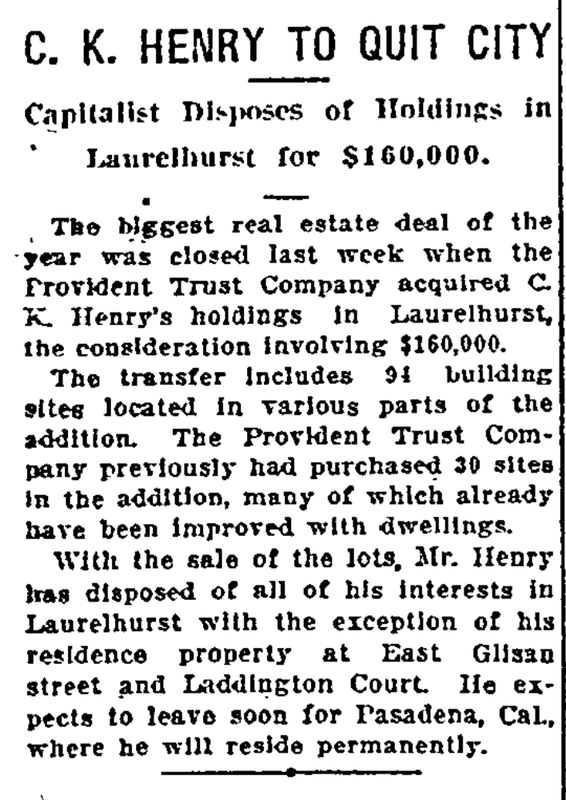 Henry's holdings in Laurelhurst, the consideration involving $160,000. The transfer includes 94 buildings sites located in various parts of the addition. The Provident Trust company previously had purchased 30 sites in the addition, many of which already have been improved with dwellings. 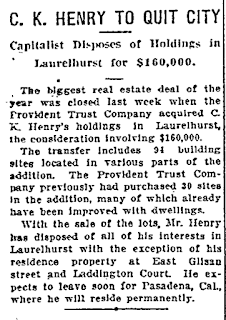 With the sale of the lots, Mr. Henry has disposed of all of his interests in Laurelhurst with the exception of his residence property at East Glisan street and Laddington court. He expects to leave soon for Pasadena, Cal., where he will reside permanently. 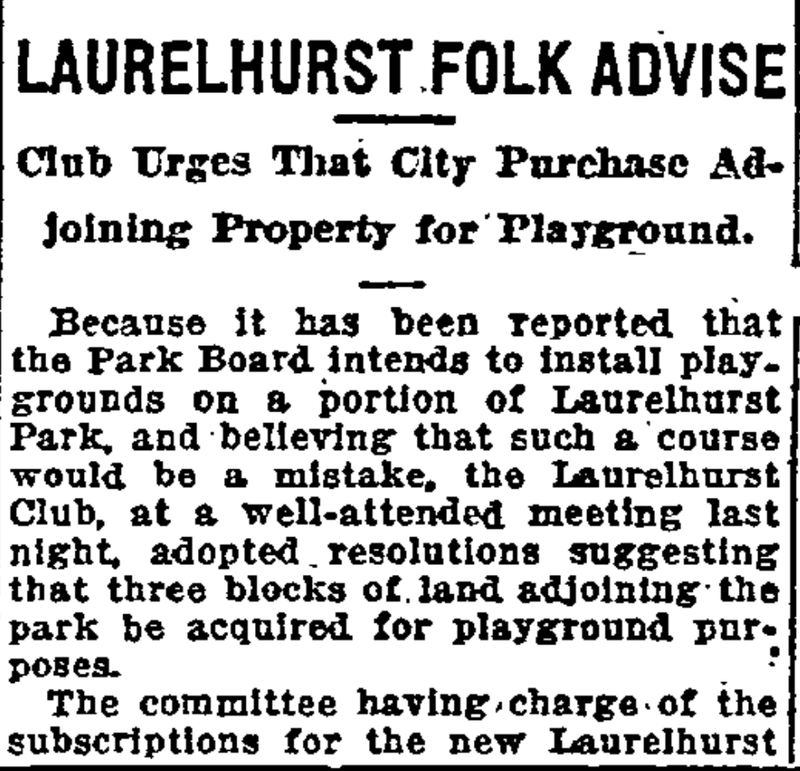 Because it has been reported that he Park Board intends to install playgrounds on a portion of Laurelhurst Park and believing that such a course would be a mistake, the Laurelhurst Club, at a well-attended meeting last night, adopted resolutions suggesting that three blocks of land adjoining the park be acquired for playground purposes. 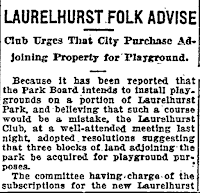 The committee having charge of the subscriptions for the new Laurelhurst Clubhouse reported that it expected that it would have the finances for the building all arranged and that grounds would be broken for it within 30 days. 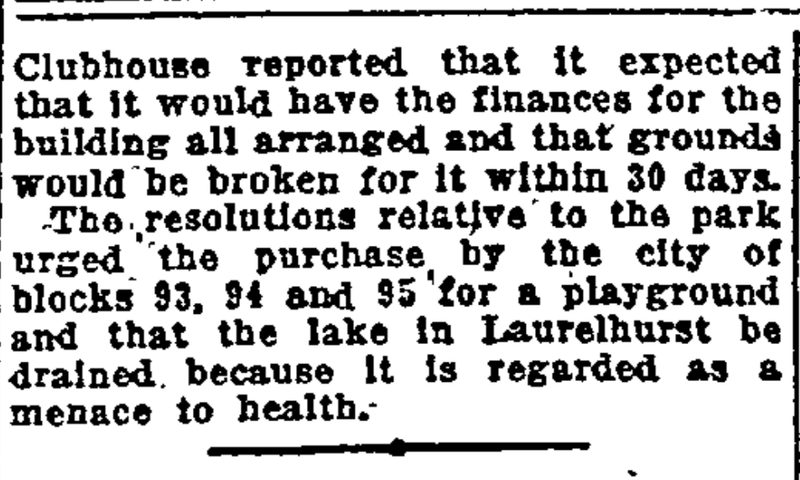 The resolutions relative to the park urged the purchase by the city of blocks 93, 94 and 95 for a playground and that the lake in Laurelhurst be drained, because it is regarded as a menace to health.